Ever since I started to use liquid eyeliner, I seldom use eyeliner pencil because I find liquid eyeliner can easily achieve the style I wanted for my make up of the day. It's pretty amazing to see different innovation on the eyeliners in the market such as gel liner pen and pencil. It was a pleasure to receive two gel eyeliner pencils from Natta Cosme for review purposes. 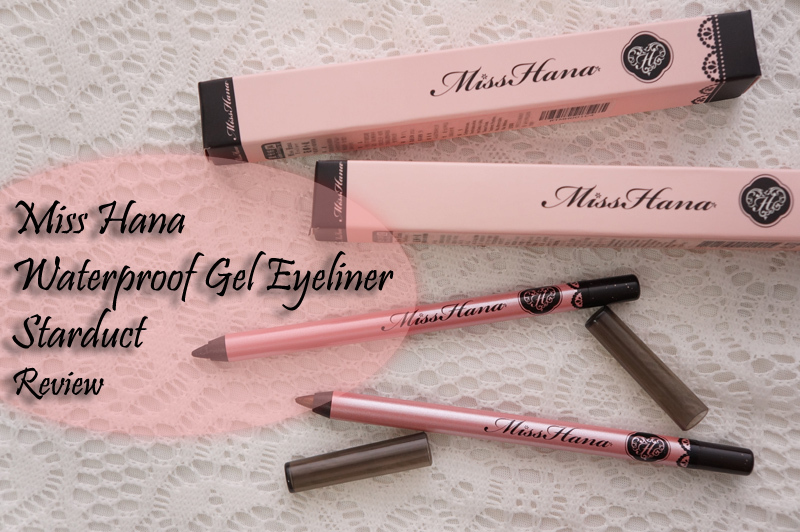 I've received similar Miss Hana Gel Eyeliner from Natta Cosme before and did a review about them here. I came across of Miss Hana from a Hong Kong Beauty Youtuber so this is a familiar brand to me. Its glad to see Natta Cosme brings in this brand to the Malaysian market and introduced two new gel eyeliners. The gel eyeliner is pretty similar with the one I introduced earlier but this series added in glitters to the eyeliners. It is a waterproof and anti-smudge eyeliner. 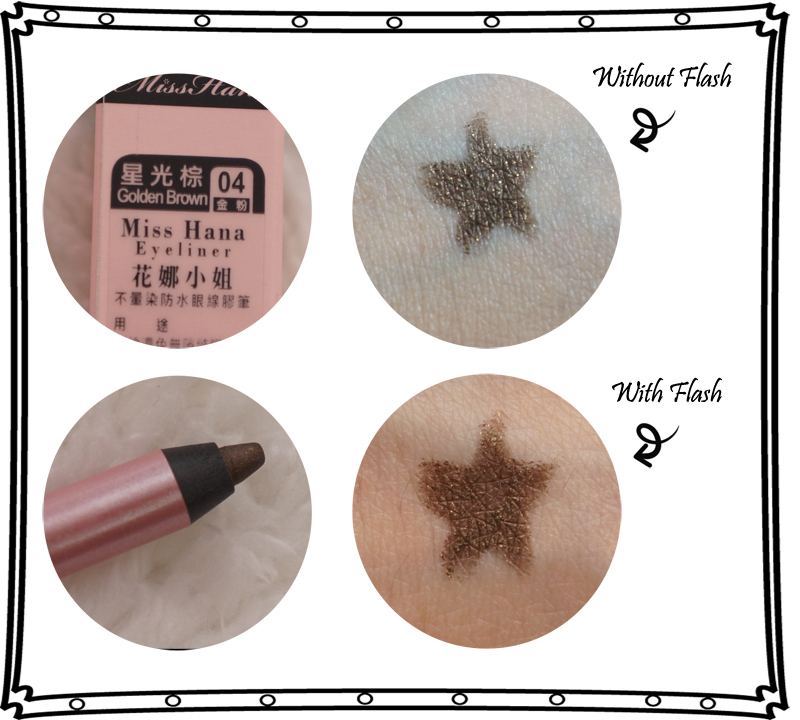 Let me walk you through my thoughts on Miss Hana Waterproof Gel Eyeliner (Stardust). The shades are pretty distinct from each other. The brown eyeliner appears to have more glitters than the black one on the lid. Let's start off with Galaxy Black Eyeliner. The eyeliner was drew on my palm and under natural light, there's tiny glitters on the shaded area. The glitters are more visible when it is under flash light. Either way, the glitters are visible in a shape. 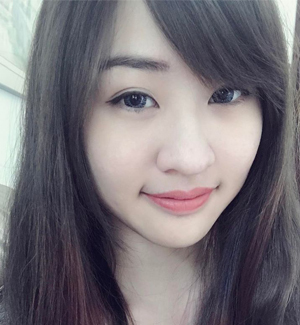 Here's a comparison of before and after putting on the eyeliner. I'm pretty amazed that a gel eyeliner in pen form is able to draw such a thin line as close as possible to the eye lashes. Though there are some glitters from the eyeliners, the glitters are not as visible as I thought. 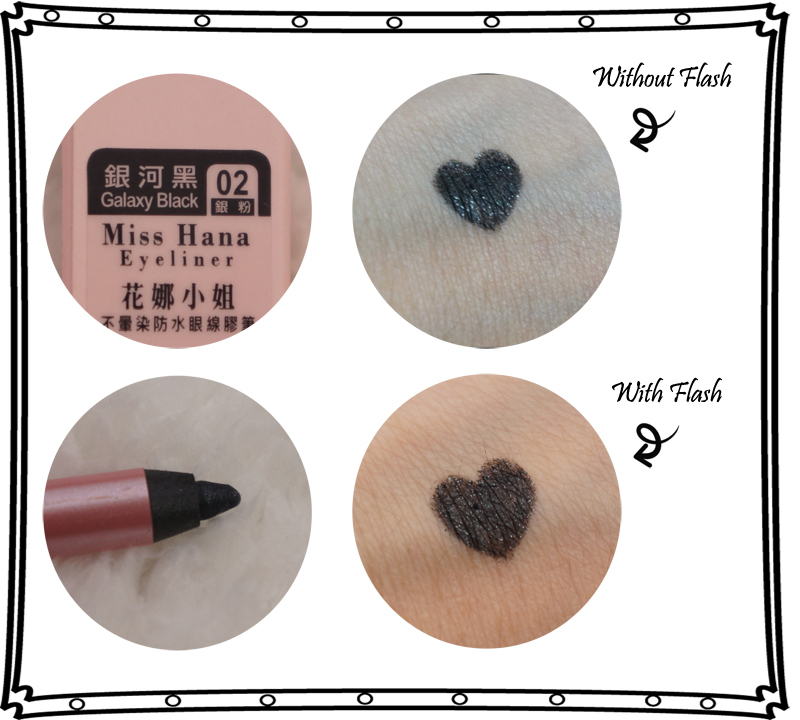 It give a Kohl-black shade with a hint of glitters on the skin. On the other hand, Golden Brown eyeliner has a lighter shade with more glitters showed on the shape. As you can see in the image below, the glitters spread all over the shape with and without flash. 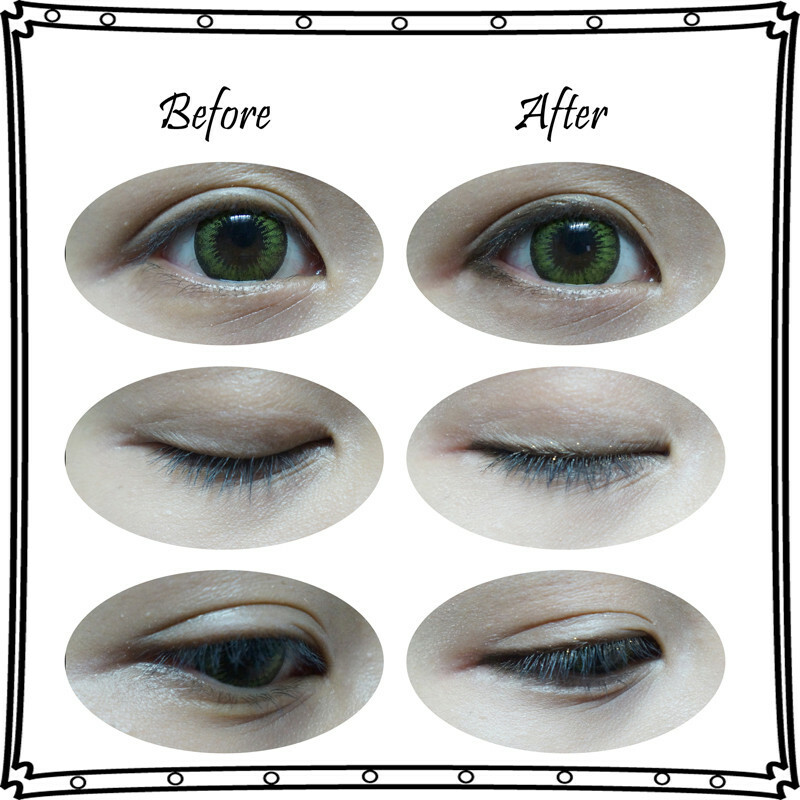 Over here is a comparison on the before and after putting on the brown eyeliner. 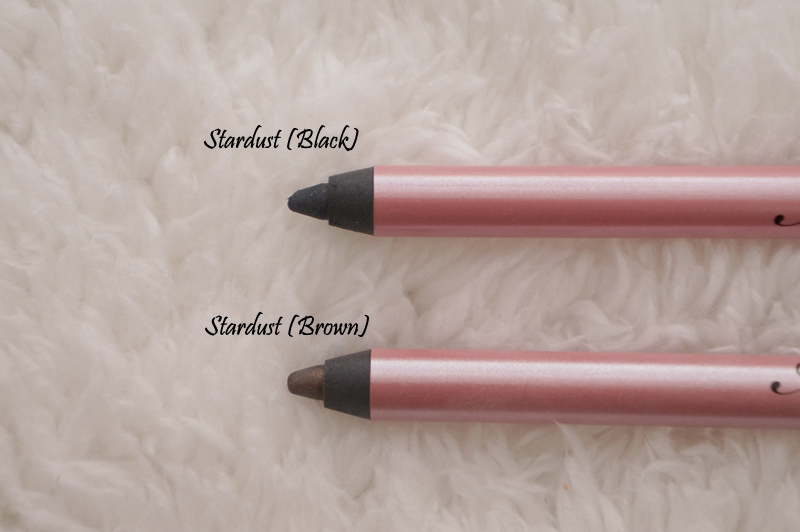 It has a lighter shade compared to the black one and the shade lies natural on the eyeliner. It doesn't gives a visible line and it is perfect for everyday make-up. The glitters on the brown eyeliner is more visible compared to the black one and it helps to brighten up the eyes a little. I like the fact that the eyeliner is waterproof and smudge proof. This may not be the best eyeliner I've ever used but it is decent enough for beginners. 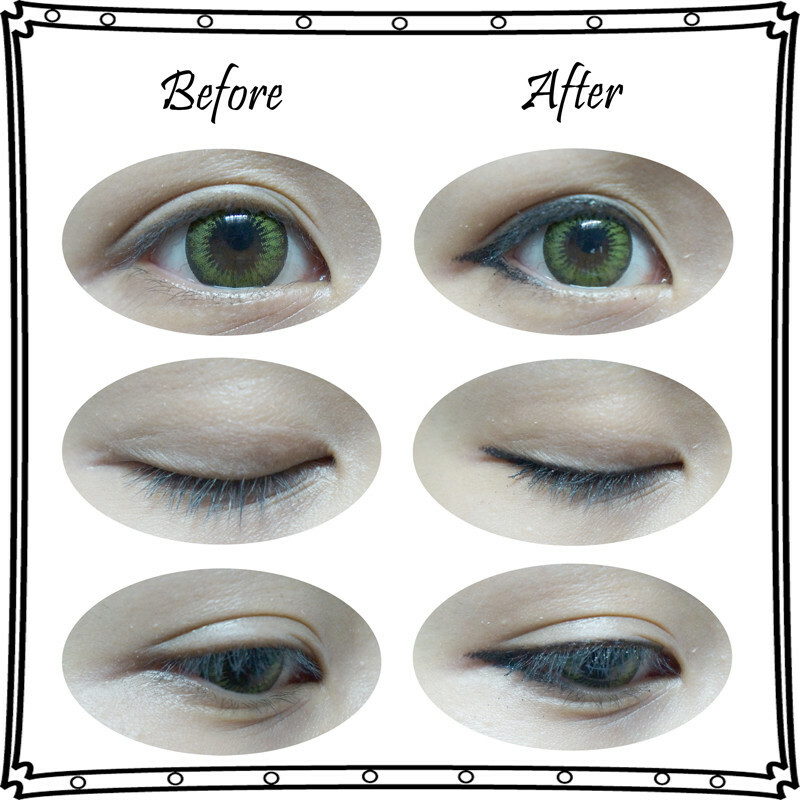 It is easy to outline the eyeliner and achieve a bigger eyes look. It shares the consistency level as the gel liner but the pet peeve is you will need to sharpen the gel eyeliner quite often as it gets dull pretty fast. The breakage is annoying too but then I found a solution, thanks to Google. Keep the gel eyeliner in the freezer for 5 minutes if you want to sharpen it. This will harden the lid and minimize the breakage of the eyeliner. There's a good news for the ladies. There is a Red Sale going on with selected products at Natta Cosme. The sales started from 10 to 12 October 2014. Better fast if you want to grab some items there because Miss Hana products are on sales too. The Gel Eyeliners that I reviewed will cost only RM 15.90 after discount. Click on the image below to check out what are the discounted items on Red Sale.